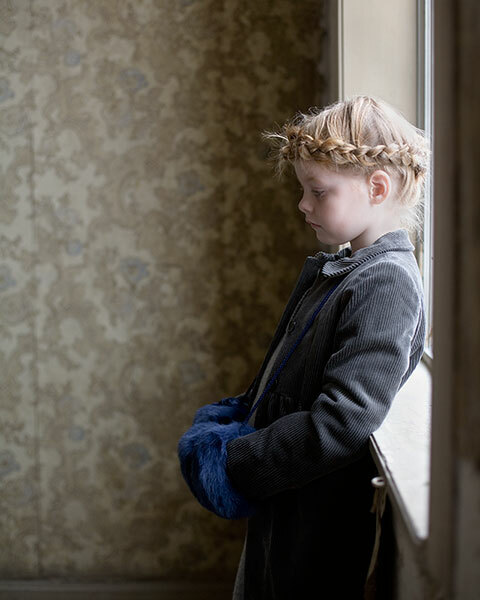 Anders Hald is a highly sought-after family lifestyle and children’s fashion photographer. His work has been featured in numerous magazines, catalogues, books and advertising campaigns. 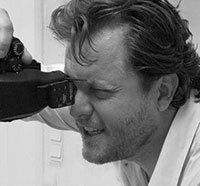 He has received numerous awards and commendations, and is considered one of the world’s leading photographers of children. I have been involved with children’s fashion and advertising photography for around 12 years. At the beginning of my career I was shooting a lot of family lifestyle imagery, but as time went on, at the suggestion of my agent, I gravitated more towards photographing children’s fashion. I put together a portfolio of images and took it to show Junior magazine, which is based in London. Right away, they gave me some work and everything fell into place. It’s now my speciality, and I understand the key differences between shooting adults and shooting kids. The first thing to remember when photographing children is to always plan ahead. If I’m shooting an advertising job, what’s important is that the client specifies exactly what it is they expect from the images. As a photographer, you must understand what it is you want to achieve and then carefully plan it step by step. That includes the location, lighting and camera angles. These must all be ready before the child is even on the set. Obviously, kids need to have fun with what they’re doing, and it should go without saying that they don’t have a lot of patience. You need to keep the atmosphere a little spontaneous, but you can only do that once all the technical elements are in place. Something else to understand is that different age groups require different treatments. Shooting babies is a very different experience from shooting four-year-olds. The older the child, the longer you can work as they have more stamina. If I’m working with an eight-month-old baby, I can expect around 15 minutes of working time. That’s why everything must be ready because time is limited. With a child of ten, you can get around an hour’s working time, a 12-year-old two hours and so on. With that in mind, the central rule for me is that the child must always have a good experience on set. Even if I can see that the child really doesn’t want to be there, it’s my job to at least ensure they are comfortable. I’ll always tell them they did a great job so they go away feeling great. The picture here is from 2009. While this image is a little gem, it was born from a bit of a disaster. I was contacted by a Danish publishing house that wanted to produce a new children’s fashion magazine. They knew that I’d done a lot of work with Junior magazine in the UK, so they called and asked me to do something similar for them. I agreed, but what I didn’t know at the time was that the Danish magazine essentially wanted to copy the UK magazine, even down to the name – they actually called the publication Junior. The Danish magazine told me I had complete creative control, so after a bit of research my crew and I found an amazing old manor house about an hour outside of Copenhagen. The place had, in part, been redecorated. I thought the ground floor was done in pretty bad taste, but the first floor had been left alone – it was stuck in the 1940s. On the day of the shoot I turned up with my crew and a brief that stated we were to shoot ten pages and three covers. The magazine then, to my astonishment, turned up with just two models. They obviously expected to use two models across 13 pages. I couldn’t believe it. There is no artificial light in this shot – it’s all window light. There’s a slight bounce from a white reflector in front of the girl just to reveal a little more detail in the face. It was a very simple shot to produce. This was taken back when I was using Canon equipment, specifically a Canon EOS-1Ds Mark II as I had just moved to digital equipment. I used a 50mm f/2.2 lens as I like the perspective and shallow depth of field of that lens. It also gives me the right amount of distance between me and the child, so I can talk to them in a normal voice but I’m not so close that I’m intimidating them. Somehow, through all of this, the kids performed brilliantly. In the end, I selected 15 pictures and sent them off to the magazine. Eventually the magazine came out and for some reason they had pasted thought bubbles into the images. There were things like, ‘I wonder what I’ll get for Christmas?’ I refused to work with the magazine again and they folded soon after. Despite my experience with the magazine, I thought the images were really strong. I started submitting them for competitions and was pretty successful. This image won first place in the Outstanding Achievement category at the Masters Cup, an international award honouring colour photography. The same image also received a special mention at Prix de la Photographie. So, for all the agony I endured on set, I guess the kids and I came out of it looking pretty good.